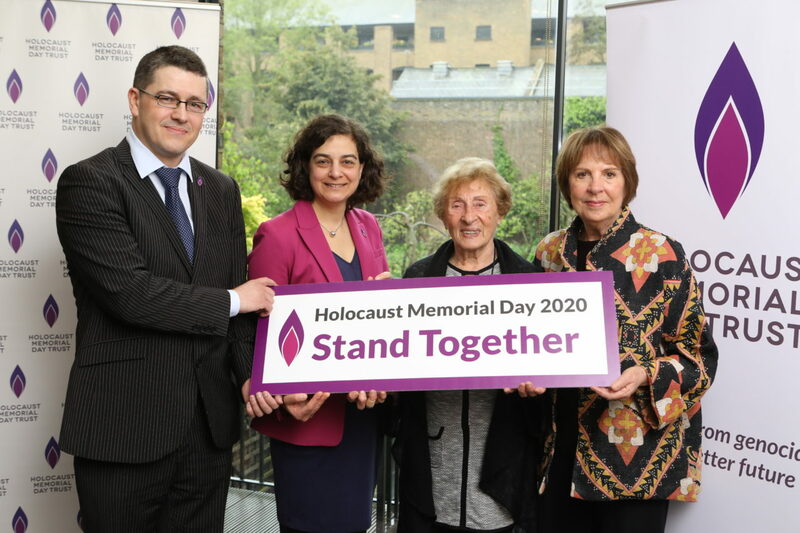 We are pleased to announce that the theme for Holocaust Memorial Day 2020 is Stand Together. Today, we have launched the full theme vision to inspire people with plans for their HMD activities. 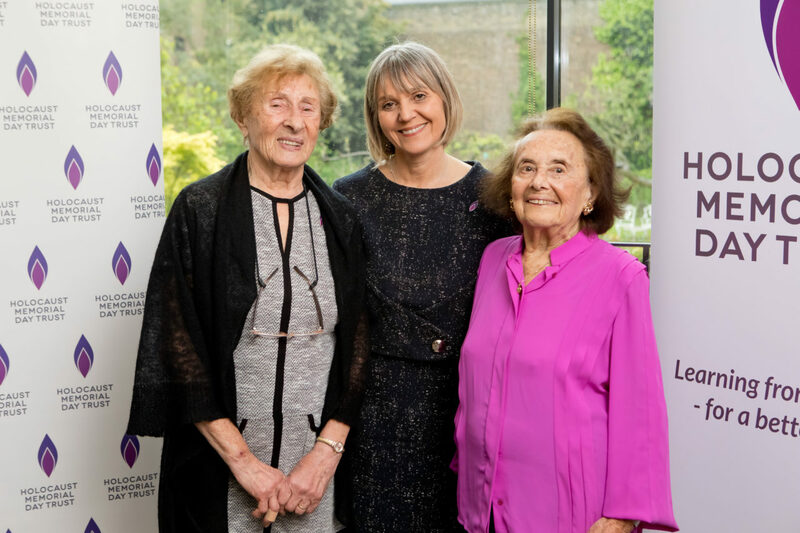 Holocaust Memorial Day 2020 will mark the 75th anniversary of the liberation of Auschwitz-Birkenau, with events taking place across the country in January. Many people are already planning how they will mark this milestone anniversary year. HMD 2020 will also include marking the 25th anniversary of the Genocide in Bosnia. As the theme is launched, people from across the UK are being urged to Stand Together at a time when communities in the UK and internationally seem increasingly divided. ‘During the Holocaust and genocide, communities were deliberately divided and individuals persecuted because of their identity. Despite the dangers of doing so, some people chose to stand together with those targeted, challenging the divisive actions of genocidal regimes. 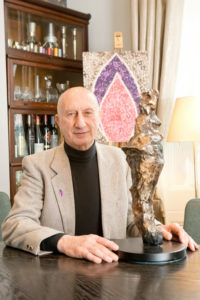 Maurice Blik with his Memorial Flame. 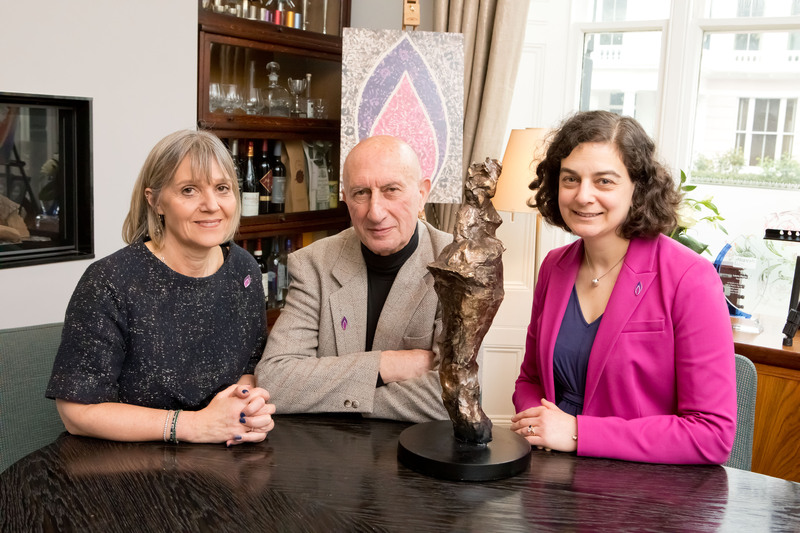 At a launch event on Tuesday (9 April), survivors of the Holocaust and genocide, including sculptor Maurice Blik, launched a national project: 75 Memorial Flames. The project will see Memorial Flame artworks created by community groups across the country, marking 75 years since the end of the Holocaust. 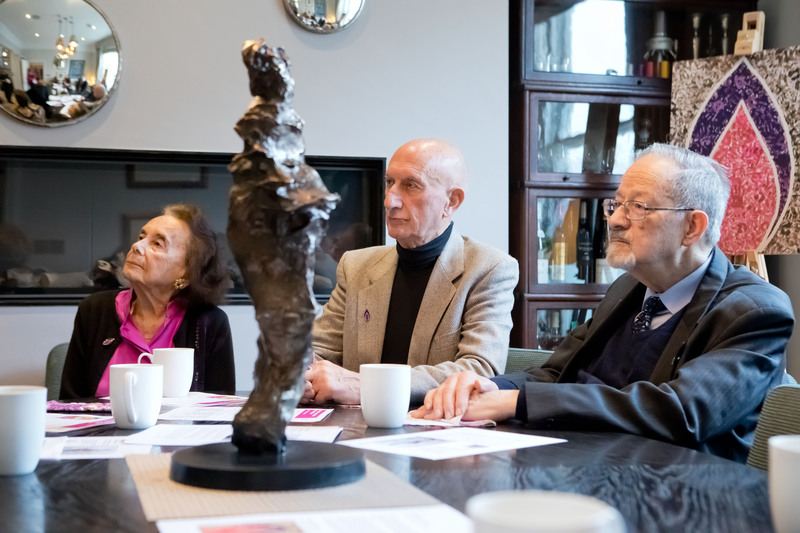 The project will be launched with the first of the 75 Memorial Flames – a sculpture created by Maurice Blik, who was liberated from the Bergen-Belsen concentration camp as a child. His sculpture, ‘The Human Flame’, made for the project, represents the indomitable human spirit. 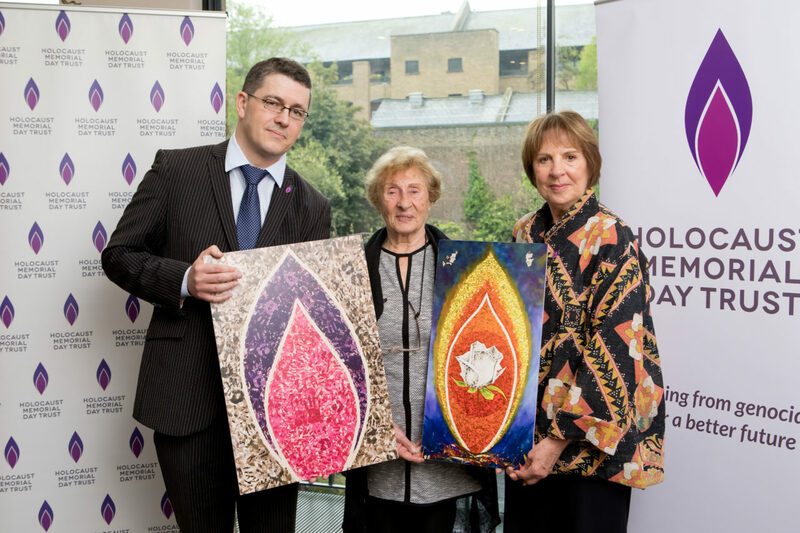 Over the coming months, 75 of the Memorial Flames from across the UK will be selected to form a unique national exhibition at the UK Holocaust Memorial Day Ceremony in January 2020. 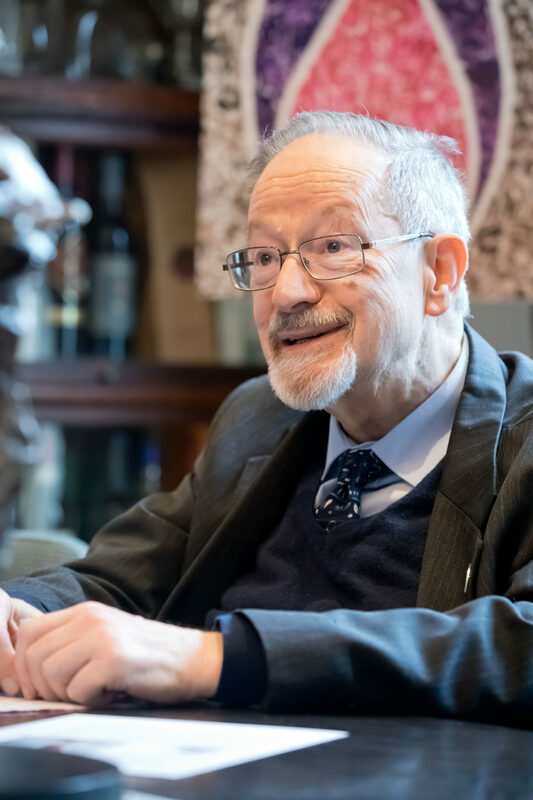 Community groups of all kinds are being encouraged to sign up now to take part in the project and play their part in ensuring the millions of people affected by the Holocaust are remembered. For HMD 2019, 10,000 activities took place across the UK, with people from all backgrounds taking part in diverse activities. ‘We had to walk before a man. This man was standing there with a stick in his hand and with one movement he sent people right or left. To live or to die. That was the last time I saw my family. Holocaust Memorial Day Trust, the charity responsible for promoting and supporting Holocaust Memorial Day in the UK, is calling for people to Stand Together in memory of the millions of people affected by the Holocaust, Nazi Persecution and more recent genocides in Cambodia, Rwanda, Bosnia and Darfur. 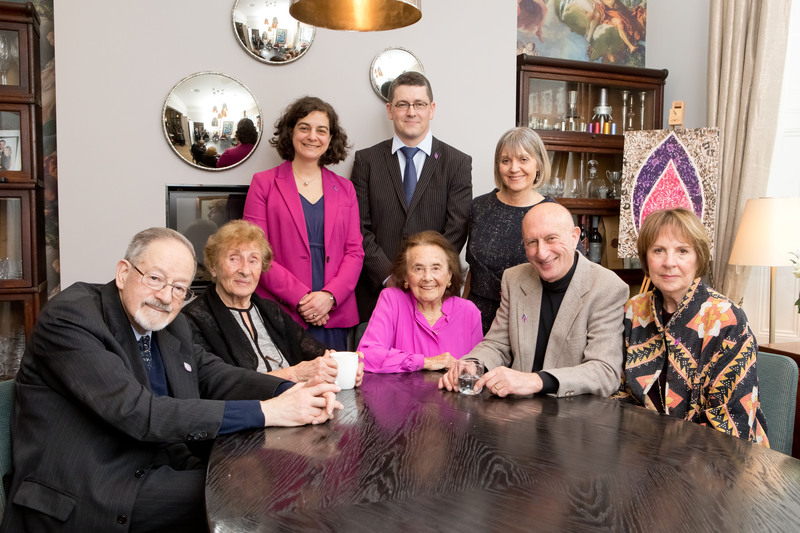 Here are a few images from our launch event for Holocaust Memorial Day 2020.